Hypertensive heart disease is a disease caused by hypertension. Simple enough, right? No, it’s actually not that simple. Today we’re going to look at what hypertensive heart disease is, how it’s caused, and how to treat it. First let’s start by defining hypertension. Hypertension is chronically elevated blood pressure. A lot of people suffer from this condition. A normal blood pressure is 120/80. If your blood pressure is above 140/90, you have high blood pressure. This condition then puts you at risk for hypertensive heart disease. Hypertension is caused by various factors, but one of the single greatest causes for hypertension is fructose. Many studies prove that fructose and heart disease have a very valid correlation. Fructose also causes a number of problems like obesity and diabetes. I would strongly recommend that you limit your fructose. The worst offenders of fructose overconsumption are HFCS (High fructose corn syrup) and sugar. Once you limit these, your chances of getting heart disease will drop significantly. One misconception I would like to clear up though is that overconsumption of saturated fat does NOT cause heart disease. Yes! That’s right, it does not. I wrote about the misconceptions of saturated fat in this article here . Though generally saturated fat does not cause hypertension, poly-unsaturated fats do. Because poly-unsaturated ­fats are extremely oxidative, they do cause heart disease. These fats include the Omega 3 or Omega 6. Nuts and vegetable oils are high in omega 6 (sunflower oil, safflower oil, corn oil, sesame oil etc). Fish and foods like hemp, flax and chia seeds are high in omega 3. If you have high blood pressure and fear that you are at risk of hypertensive heart disease, there are a few natural ways to treat it. First, like I mentioned before, limit your fructose consumption to less than about 50 grams. Then you want to limit consumption of your poly-unsaturated fats and keep your omega 3 to 6 ratio at least 1:1. This way, you keep your health in line. I would also recommend exercise, but I would tell you to lift weights and do quick HIIT (High Intensive Interval Training) sets because these exercises work you extremely hard. “Cardio” does not improve your exercise as much as the two exercises I mentioned beforehand do. Again, any form of exercise helps, but cardio is just not as effective. Good health in general will obviously help. Strive to maintain your health daily and you will feel a lot better. There are also a variety of drugs to help your high blood pressure. However there are some side effects that you will not want to experience (such as impotence, weakness, gout). I would recommend that you avoid these medications in the long-term because they fix the symptoms, but do not fix the underlying problems of bad health. Please, try fixing your health first, and you will feel a lot better. Thank you for reading! Enjoy and keep healthy! 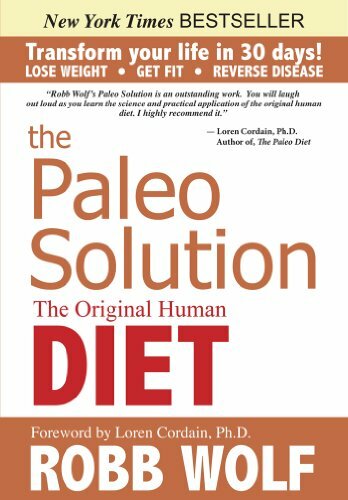 The Paleo diet, in my opinion, is extremely healthy for your heart! Try it and see your results. This book outlines the diet very well.